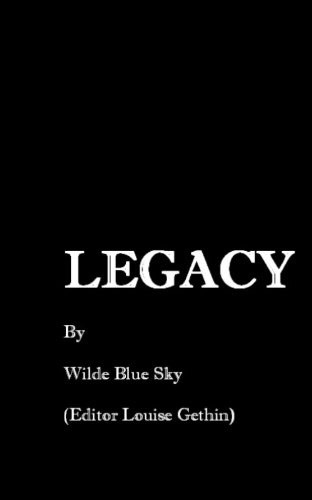 Next up in my review backlog: Legacy, which I read September 3, 2016. Legacy was an interesting concept. The story is set in an alternate history in which Hitler has a secret child smuggled out of Germany at the end of WWII and raised in hiding, totally ignorant of his heritage. While some authors would cringe from the idea of trying to tell a story from the viewpoint of Nazi sympathetic characters, author Wilde Blue Sky confronts it head-on. Although sometimes uncomfortable to read (there’s so much vitriol in these men!) it is an interesting glimpse into a mindset most of us would never be able to fathom. And somehow I actually ended up feeling sympathy, even sadness, for these characters! You begin to see how a person could become indoctrinated to a certain way of thinking which is against all he or she had been raised to believe. More a novella than a novel (the author’s own bio describes a short story writer), the writing style is crisp. The story is told in a staccato rhythm befitting the militaristic start of the tale. What kept me from giving four stars were grammatical and syntax errors peppered throughout the story. With a little more editing attention, I would happily give it a 4 star rating. Interested? Pick up your copy HERE.